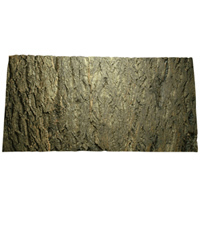 These new models of the popular Lucky Reptile cork backgrounds are an excellent addition to the product line. The model "rough" has a deeply structured surface which offers lots of hiding and climbing space to the animals and makes the background look more natural. Great product really looks good-nice and flat backing very thick am sure it will last a decade or so!. Shame the courier didn't do the next day delivery but prompt and professional follow up email from customer service. Thanks, will buy again.